This webpage helps you make free Hindi to English translation for your casual and informal translation needs. It is very quick and easy to translate Hindi to English with only one click. All you need to do is to type your Hindi text in the input box on the page and to click on the “Translate” button and you have your translation instantly. However, we also have professional native translators to translate Hindi to English and vice versa. The work will be error-free and quick and at a reasonable cost. Do contact us today to get a quote for your texts of English to Hindi to English translation and start having the pleasure to cooperate with us. Hindi is one of the main official languages of India. It belongs to the Indo-European group of languages and descends from Sanskrit. The umbrella language is called Hindustani which includes present-day Hindi, Awadhi, Khari Boli, Brajbhasha, and Urdu. Over time, it has been influenced by many other languages such as English, Turkish, Dravidian languages, Persian, Arabic, and Portuguese with words from these languages becoming an integral part of contemporary Hindi. Hindi is spoken mainly in North Indian states but with migration of people to different parts of the country, it has become a feature of other states as well. Hindi is the fourth largest spoken language in the world, going by the number of individuals who list it as their native language. 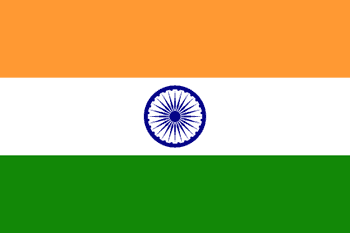 258 million people in India alone speak the language. Worldwide, there are estimated to be over 500 million Hindi speakers. The large Indian diaspora has taken the language to many countries, notable being the United States, United Kingdom, New Zealand, Australia, Canada, South Africa, United Arab Emirates, and Saudi Arabia. Besides these countries, historical connections have rooted Hindi in countries such as Fiji (that lists its version of Hindi as one of the official languages), Mauritius, Uganda, Singapore, Trinidad and Tobago, Nepal, Bangladesh, and Pakistan. Urdu and Hindi are mutually intelligible languages, for the most part. The difference between the two languages is that while Hindi has more Sanskrit words, Urdu has more from Persian. They have different scripts too: Hindi is written in Devanagari script while Urdu is written in Arabic. However, orally they are very similar. Written Hindi first made its appearance in 4th century AD in the Brahmi script. The Devanagari script in which Hindi is still written came into being in the 11th century. The script has 47 characters with 33 consonants and 14 vowels. Unlike Latin, it has no upper case or lower case characters and all characters are equal. It is written as it is spoken and there is no ambiguity about pronunciation vs spelling. Contemporary Hindi has absorbed many words from other languages it has come in touch with in history. Numerous words form Arabic, Turkish, and Persian (darwaza, begum, qainchi, sabzi, duniya, waqt, sharbat, qanoon), Portuguese (ananas, padre, chabi), English (taxi, doctor, pencil, school, cycle). English too has numerous loanwords from its historically close association with Hindi. Words such as bungalow, chutney, cot, jungle, punch, shawl, loot, for instance, have become a part of the English language now.